There you have it. The Yankees will reclaim the title for the first time in seven years. To get there, they will have to get some pitchers healthy and, while waiting, pound the piss out of the ball in April. Nonetheless, it is the Yankees year. I acknowledge some surprises on the list. Many would question how I could put the Cubs in fifth place in the NL Central after blowing $300 million on talent. The problem with the Cubs lies with its pitching and defense. Its pitching continues to suffer under the weight of injuries and simply does not contain enough talent to keep opposing offenses under 5 runs on a nightly basis. Another potential surprise is my choice of the Braves to win the NL East over the Mets. Once again, I think it is a matter of pitching. While the Braves are clearly not a pitching-stacked team, they have a very good 1-2 and perhaps number 3 as well with Smoltz, Hudson and James. The Mets on the other hand don't have much of anything with an aging Tom Glavine as their staff Ace followed up by a few other less than stellar unnotables including el Duque and Oliver Perez. Driving four hours last night, I had the opportunity to listen to the Detroit Tigers radio announcers call game 3 of the ALDS on XM Radio. I have never heard a more exciting 6-0 game in my life. Each pitch was called as if the Tigers were on the cusp of winning the world series. Despite the irrational exuberance, I really enjoyed the broadcast. With that in mind, I thought I might kickstart some discussion around hear by making my world series predictions going forward. First, from the National League, I would have a very hard time taking anyone but the Mets. Their lineup is a monster and their relief pitching is very good. While they have a problem in the starting rotation, the Mets should have enough firepower to overcome any deficiencies. From the American League, Oakland seems like the team to beat based upon their exceptional starting pitching. I wouldn't necessarily count out the well-rounded Tigers or good-hitting Yankees either, but the A's appear to have put their pitching together at the right time of year. I also think that whoever comes out of the American League will easily win the series since the AL is so much better than the NL. What was the NL's record in Interleague Play? Oh yeah, it was 154-98. Just because I am picking the A's and Mets to meet in the world series, doesn't mean that'll be who I want to win. If I had my choice, it would be the Tigers and the Cardinals if, for no other reason, it would mean that no East Coast and no California teams were in it to win it. 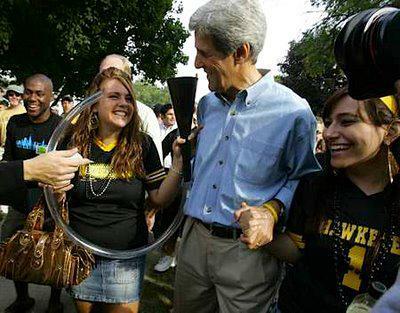 Time for a Caption Contest? The official autumnal equinox may not be until Saturday but there are already signs about that the fall season is upon us. The air is a little chillier - especially at night; in fact, last night as I was puting out the garbage I breathed in the sweet scent of the first fireplace use of the season in our neighborhood. Some leaves have started to change and gas prices are falling from summer highs. TV shows are returning or premiering accompanied by an avalanche of election-season advertisements. Grocery stores are displaying mums outside and stocking shelves with pumpkin cookies and sundry other cooler-weather comfort foods. And most of all last night the New York Yankees - that most storied franchise in the history of sports - clinched the AL East. In a clubhouse shower of champagne to the world it was announced - fall is finally here! If A-Rod was a horse, Steinbrenner woulda put him down by now. I know a Yankee fan shouldn't complain about anything these days with the recent events but this guy is so miserable I just can't stand him. For months his only contributions - aside from errors - have been striking out looking and hitting into double plays. And this is the supposed best player in the game? I could kill the guy who fouled Aaron Boone in that ill-fated basketball game - may he rot in hell. Now, tonight A-Rod has gone back to the hotel in Seattle before the game has even begun because of a sore throat. $27.7 million a year and he can't afford some Cloraseptic or a lozenge or two? Good riddance; I hope it's one of those sore throats that lasts about 68 days or so. Also, I wish A-Rod was a horse and Steinbrenner had an itchy trigger finger. UPDATE: ON Tuesday with A-Rod in the game and even hitting a homer, the Yanks lost 6-5. Tonight with A-Rod nursing his wittle sore thwoat the Yanks win 9-2. As the New York Post commented a few weeks ago: When it doesn't count, you can count on A-Rod. The witchhunt has begun. Just as Lance Armstrong has had to spend thousands of dollars and years of frustration defending himself against specious allegations of using performance-enhancing drugs, 2006 Tour de France winner Floyd Landis is now in the crosshairs of the European media. It is very disappointing that a true hero has been torn down so quickly despite the paucity of evidence. 1. Floyd has passed all other drug tests. 2. Floyd was not associated with Eufemiano Fuentes, the Spanish doctor at the center of the doping scandal that kicked Jan Ullrich and Ivan Basso (and others) out of the 2006 Tour before it started. 3. Floyd had a high testosterone:epitestosterone ratio after Stage 17, the stage where he became a cycling legend by smoking the field by himself in the last day of the Alps. 4. There is no information stating that he had high levels of testosterone after that stage. But "an injection of testosterone is not some sort of miracle, immediate boost like an amphetamine or stimulant," Collins says. "Athletes who use testosterone use it over a fairly long course and the benefit accumulates over a period of time." Testosterone would not account for his comeback, Collins stresses. "A single shot of testosterone would provide little or no benefit." 6. The European press has engaged in these kind of witchhunts before without evidence. The presence of a testosterone (T) to epitestosterone (E) ratio of greater than four (4) to one (1) in the urine of a competitor constitutes an offence unless there is evidence that this ratio is due to a physiological or pathological condition. In the case of a T/E result of greater than 4:1 and no other reliable analytical method applied it is mandatory that the relevant medical authority conducts an investigation before the sample is declared positive. 8. It was well documented that Floyd had a degenerative hip condition throughout the Tour that will require hip replacement surgery and causes him to walk with a limp. The proper thing to do would have been to wait until the investigation was over, including testing the "B" sample, to be sure that the test had been properly conducted and to ensure that there was no false positive. If the conclusion of the "A" sample were to be released, the proper thing would have been to release the base data so that we could see what the ratio of testosterone:epitestosterone actually was rather than depend on someone else's conclusion that the ratio was too high. One way or another, if Landis proves to be innocent, it is absolutely egregious that the powers that be allowed this story to taint what was one of the greatest athletic achievements of the past decade. See Captains Quarters for Capt. Ed's take. It is very rare when an athlete does something truly inspiring. There are often amazing performances where a baseball player goes 6-6 with three home runs or where a basketball player scores 50, but it only happens once or twice a year where an athlete does something above and beyond. 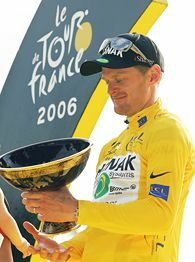 Floyd Landis' performance in the Tour de France was one of those rare, inspiring performances that turned expectations on their head and proved that the impossible really was possible. Having fallen behind in the 2nd stage in the Alps, Landis seemed destined for a finish off the leader board. Simply put, he completely broke down a day after obtaining the yellow jersey on the famous l'Alpe d'Huez. On Wednesday, Landis defied all expectations and did something that I have not seen in my 15 years of watching the tour and probably will never see again. He made up nearly 8 minutes by himself, with absolutely no help on the last two climbs! The great thing about his performance was the fact that he had other riders drafting off his wheel (thus using less energy than they otherwise would have had to use) and Landis still pulled away. Amazing. I became an even bigger fan of the Tour this year. 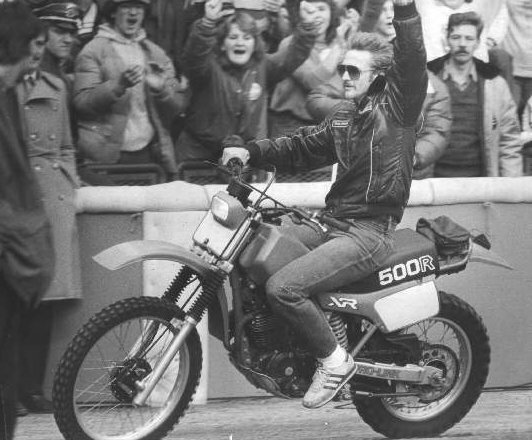 The event was much closer than any year I can remember (aside from the Lemond-Fignon battle in the late 80's) and there were so many more riders that had a real chance to win. Unlike the previous 7 years, there was no dominating rider like Lance Armstrong. It was a wide open race set up to be won by the athlete with the most heart and Landis was that athlete this year. XXXXX, 88, of Millstadt, Ill., born Aug. 21, 1917, in Millstadt, Ill., died Saturday, Dec. 10, 2005, at St. Elizabeth's Hospital, Belleville, Ill. Mrs. XXXXX was a member of Zion United Church of Christ, Millstadt, Ill., Zion Women's Fellowship, VFW Post 7980 Ladies Auxiliary, Millstadt, Ill., an avid Wednesday night bingo player at VFW, when she was younger and playing softball she led the league in batting, she made several quilts, enjoyed cooking and baking and she was a big Cardinals fan, she was glad to see Ray King traded. A special thanks to the staff of the third and sixth floors at St.Elizabeth's Hospital for their care. I did have a good time sitting in the stands, however, listening to the Packers and Bears fans jaw at each other for three hours. Additionally, with conditions so frigid, my beer stayed cold and frosty. It is a real shame that the Packers have come to this. Too many injuries plus some bad front office decisions over the past three years have finally cost the Packers. The real bad thing is that the Packers couldn't have done more to surround Favre with more talent in his sunset years. I guess one Super Bowl is better than nothing. On the bright side, maybe the State of Wisconsin will start paying a little more attention to the rapidly improving Brewers and surprising Bucks! Milwaukee Brewers: World Champs 2006? The Brewers haven't had a winning season since 1992 and haven't made the postseason in almost a quarter century. That's about to end. They'll need a healthy Ben Sheets to make this prediction come true, but they can already bank on full seasons from uber-prospects Rickie Weeks and Prince Fielder, and shortstop J.J. Hardy, who seemed to find his stroke in the second half, could emerge as one of the best shortstops in the NL. GM Doug Melvin, one of the most underrated execs in the game, can trade Lyle Overbay for pitching if need be, and the bullpen figures to be quite strong. Also, the Brewers last season ranked sixth in the 16-team NL in starters' ERA, and that's with only 156.2 innings from Sheets. Believe it: Milwaukee will be in the playoffs in 2006. Dayn Perry is a frequent contributor to FOXSports.com and author of the forthcoming book, "Winners: How Good Baseball Teams Become Great Ones"